In just a few days, the biggest grassroots esports tournament in the UK and Ireland comes to Stamford Bridge, London. This is the final leg of the EStars featuring Fortnite tournament which has toured some of the biggest stadiums across the U.K. and Ireland since January. With the grand final being hosted on Sunday, 100 players will battle it out to be crowned EStars champion and walk away with a cool £25,000 as well as a test drive in a Tesla Model X. One player in particular plans to spend the money on his chosen charitable cause. Gary Beadle, the reality TV star (also known as Gaz) famed for his appearances in Geordie Shore promises to donate all of his winnings to Help for Hero’s if he wins the grand prize on Sunday. Help for Hero’s is an internationally recognised charity, created to help rebuild the lives of wounded, injured and sick Servicemen and women and their loved ones. 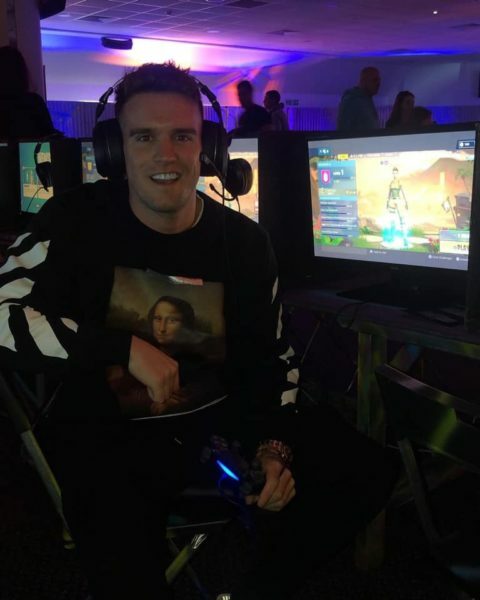 Gary said: “I attended the EStars featuring Fortnite event in Newcastle at St James’ Park with my nephew and loved every minute of it! I was lucky enough to be chosen as a wildcard for the final.